Poverty Consciousness – the subtle conditioning about money you don’t know you have. Suppose I asked you if you have a poverty consciousness? How would you answer? Would it be based on the size of your home, the price tag of your clothing, or the amount of money in your bank account? It doesn’t matter if you have a lot of material things. You may have a poverty consciousness that was instilled in childhood, and not even realize it. While having money is good – even plenty of it, your thoughts about money could jeopardize your peace of mind when it comes to your retirement. You can retire with an abundance mentality or one of lack. It’s up to you and the way you think about money. From little up, we are all conditioned about money. I came from a blue-collar background where my father worked for hourly wages. My mother was a housewife that occasionally worked part-time to pay for the “little extras”. For all intents and purposes, we were the typical American family. We had what we needed – food on the table, new clothes for school, money for outings, and pocket change for gum and candy at the corner grocery store. The only time I really thought about money was when I received cash in an envelope on birthdays and Christmas. Little did I know as a child that a subtle conditioning about money was taking place that would set the tone for how I would think about it in adulthood. Looking back objectively, I can see how my ideas about money were formed. As I grew into adolescence I became more aware of my mother’s outlook on money. Complaints about living from week to week, and remarks such as “ why would a woman with money wear such a homely dress” said a lot about Mom’s attitude towards money. She judged herself to others based on how much money she had, compared to how much they had. As a child of the Great Depression, my mother exemplified thriftiness. She knew how to stretch a dollar, and by example taught this to me. Indeed, I still consider myself very practical when it comes to managing money. She told me that I could just as well marry a rich man as a poor one. I understand. She wanted what’s best for me, and for me to live a life of financial security. When you are a child, you inevitably hear your parents values and beliefs about money. Some parents’ emphasize the need for lots of money, and how to get it. Other parents’ complain about not having enough and recommend ways they think you should go about getting some. Still, others fall apart at the slightest bump in their financial road. Their self-worth is based on a false sense of security. These ideas are ingrained in your psyche and contribute to the overall way that you think about money. The problem comes in when you repeatedly focus on the lack of it, think you have to work till you drop to get more of it, or are insecure about the loss of it. My own personal journey with poverty consciousness came to light during the years that my husband and I were in business. I thought I had a healthy attitude about money until I realized I didn’t. Going through a particularly difficult period, I ran scenarios in my head about what would happen if business didn’t pick up. I constantly looked at “the books” and saw a shortfall. I wanted security! And I thought it came from money. During that time, a girlfriend lost an 18-year-old daughter in a terrible automobile accident. When she called to tell me about her loss, I felt ashamed that I was so wrapped up in the material world. She was burying her daughter and I was worried about defaulting on mortgage payments. I decided to make peace with money and began analyzing my set of beliefs about it. I concluded that my fear of not having enough money to meet our business’s overhead was actually detrimental to our overcoming the slump. The constant worry caused serious anxiety, and through my repetitive cycle of negative thought, I manifested the opposite of what I wanted. At the end of my peace-making journey, I realized that real security comes from within, not from without. Money is only a symbol – it can be lost in an instant. Many baby boomers view retirement from the perspective of money. 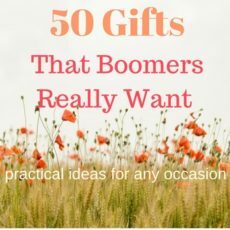 They base whether or not they can retire on how much money they need to support their lifestyle. Some keep working even when they don’t want to because they fear what friends and relatives will think if they can’t remodel the kitchen or pay for the next cruise. Many give much attention to thoughts that revolve around the notion that they will never have enough money to retire. Their lives revolve around money and the fear of not having enough of it. That’s sad because they are trapped in a lifestyle rut of poverty consciousness. On the other hand, rebel retirees understand that it’s not about the money and are living a happy life of abundance. If you can rid yourself of poverty consciousness and learn to appreciate the wealth of abundance in your life, your retirement years will naturally flourish. How to solve the poverty consciousness trap. Do you repeatedly think you’ll never have enough money to retire? Do you worry that the stock market will crash and you will lose your pension? Are you afraid to enjoy the money that you do have because you may need it in the future? No one knows what the future holds. And while these concerns, if kept in the proper perspective, are worthy of careful thought, repeatedly playing pessimistic streams of dialogue in your mind creates an energy vibration that pulls the things you don’t want into your life. Instead, train yourself to think about what you do want, not what you don’t want. You will immediately notice a change for the better. Make a habit of seeing abundance everywhere. When you make a habit of seeing abundance everywhere, you shift your focus from one of less to one of more. Even if you are presently in a difficult financial situation, take time each day to look for abundance all around. If you find this hard to do, turn to mother nature. Our world is full of beauty and natural resources that enrich our lives on a daily basis. Slowly your thoughts will change and your appreciation for what you do have will grow. You will be secure in the knowledge that your true happiness is independent of your bank account. There are several benefits to having an attitude of gratitude. Expressing gratitude is known to boost your mood and overall sense of well being. And grateful people are happier people. Greeting the morning with a grateful attitude sets the tone for a pleasant day. While ending it with gratitude encourages a good night’s sleep. Being thankful for simple things like a comfortable bed, the smile of a grandchild, or the first daffodils of spring all help to raise your gratefulness awareness. Practicing gratitude will help you feel peaceful and secure with any difficult situation that arises. And feeling secure about money whether you have some or not is the way to end poverty consciousness. Having a healthy attitude towards money actually allows it to flow more easily to you. Everyone is raised with a certain amount of conditioning about money. If you reach retirement and find yourself in a repetitive-negative-thought-cycle about money, the worry is creating an energy that is actually preventing you from acquiring more. To live a truly abundant life – observe your thoughts, see abundance everywhere, and have an attitude of gratitude. If you correct negative thoughts, look for the abundance in your life, and express gratitude every day, you will be well on your way to abolishing the poverty consciousness that you may have developed in childhood. You can approach retirement with a happy heart knowing that material objects are ephemeral and true security comes from within. What are your thoughts on this subject? We’d love to hear your opinions. Please leave a comment below. ← Are Reading Glasses From the Dollar Store Any Good?